DISCORSO AL SERENISSIMO COSIMO III GRANDUCA DI TOSCANA. Introno al difendersi da' Riempimenti, e dalle Corrosioni de' Fiumi. Applicato ad Arno in vicinanza della Città di Firenze. Di Vincenzio Viviani, Matematico di S.A.S., scritto nel Dicembre del 1687. Nella Stamperia di Piero Matini all'Insegna del Lion d'Oro, 1688. Prima edizione. Cm.25,8x18,6. Pg. (4), 72. Legatura in mz.pergamena. Cartiglio calcografico con stemma mediceo impresso al frontespizio, sorretto da due putti. Capolettera e fregio impressi all'inizio del testo. Esemplare in barbe. 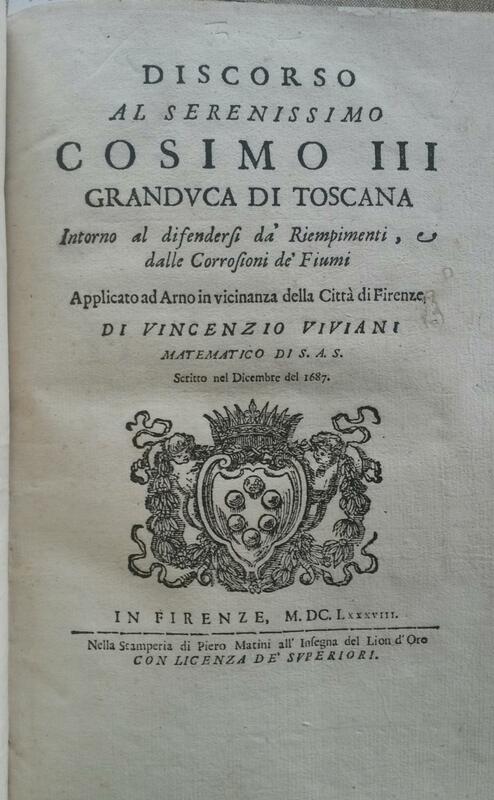 Allievo di Torricelli e discepolo prediletto di Galilei, Vincenzo Viviani (Firenze, 1622-1703), matematico, astronomo e ingegnere, curò la prima edizione dell'opera omnia del grande scienziato pisano. Successe proprio al Torricelli all'Accademia delle Arti del Disegno di Firenze, ricoprì per moltissimi anni la carica di Ufficiale dei Fiumi del Granducato e fu membro della Accademia del Cimento. A lui è dedicato il cratere "Viviani" sulla Luna. Il presente saggio costituisce un importante studio sulla sistemazione idraulica dell'Arno. > Riccardi, I, 627, "Questo bel Discorso d'idraulica pratica fu poscia inserito nelle diverse raccolte d'autori d'acque". Graesse, VI/2, 381. DSB, XIV, 48. Moreni, II, 469, "Raro". Codice libreria 137926. The sole early edition of the "solemn revel" performed at Gray's Inn in 1594, one of two Elizabethan Inns of Court revels to survive, conjecturally attributed in part to Francis Bacon and long associated with Shakespeare's "A Comedy of Errors". 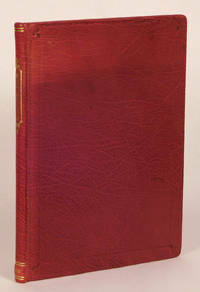 Modern crimson morocco, gilt, marbled endpapers and pastedowns, light browning, else well preserved; the Taussig copy. Printed for W. Canning, at his Shop in the Temple-Cloysters, London, 1688. 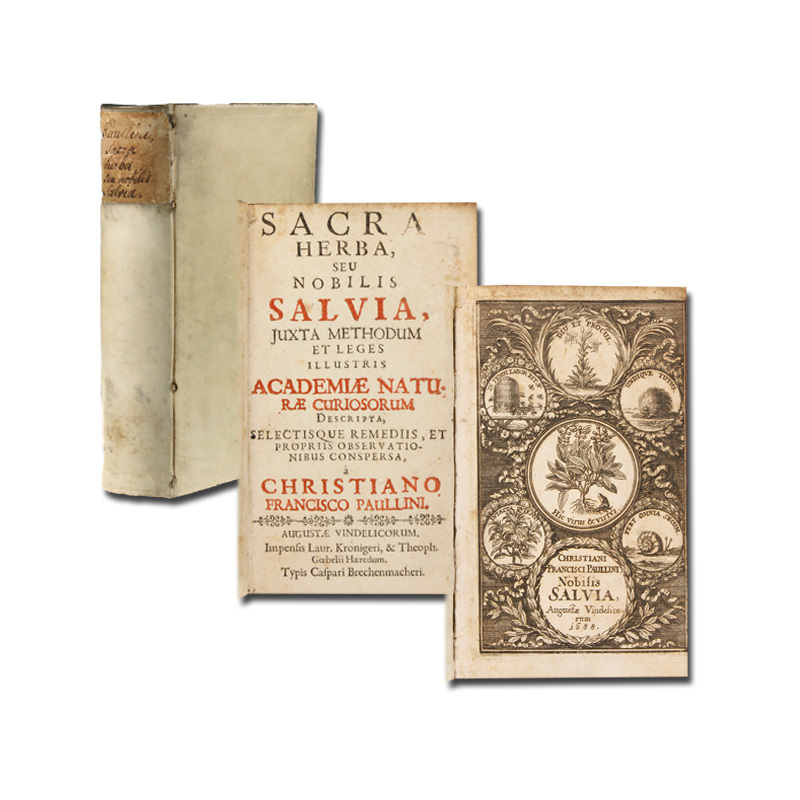 Sacra herba, seu nobilis salvia, juxta methodum et leges illustris academiae naturae curiosorum descripta, selectisque remediis, et propriis observationibus conspersa. Leipzig: Grossius and J.F. Gleditsch, 1688. First edition of the important Acta Eruditorum review of the Principia. There were four reviews of the Principia, of which this is chronologically the third. It is "the most detailed and serious of the four reviews. It was comprehensive enough to provide many people in Europe without access to the Principia itself with a fairly full account of its contents" (Gjertsen, Newton Handbook, p. 472). The first review appeared in issue no. 186 of the Philosophical Transactions, January - March, 1687: "not only did [Edmund] Halley finance, edit, publish and distribute Principia, he also reviewed it, anonymously, in P[hilosophical] T[ransactions]. It is little more than a summary interspersed with expressions of praise" (ibid.). The second appeared in the issue of Bibliothèque Universelle of March 1688, consisting "of nothing more than the headings of the sections of Books I and II translated into French. There is also a summary of Book III, and an introductory paragraph ..." (ibid.). The final review was that in the Journal des Sçavans, August, 1688, in which "Newton's hypothesis was dismissed as arbitrary, unproven and belonging to geometry rather than mechanics" (ibid.). The Acta review is anonymous, but "new evidence has recently enabled the author of this book review to be identified as Christoph Pfautz (1645-1711), a professor of mathematics at the University of Leipzig ... From the correspondence of [Otto] Mencke, the editor of the Acta, and from notes of his grandson, we may learn that Pfautz and Mencke were closely associated in many ways. They were members of the same 'collegium' in the university. Additionally, in 1684, five years before the publication of the Principia, Pfautz and Mencke went on a trip together to Holland and to England ... Pfautz was a logical choice to be the reviewer of the Principia. He was a professional mathematician interested in astronomy. He was also a close associate of Mencke, and was a regular reviewer of the Acta ... Pfautz's review achieved a special importance in 1689, when Lebniz referred to it in one of three articles he published in the Acta: the 'Tentamen de Motuum Coelestium Causis' (Essay on the Causes of the Motions of the Heavenly Bodies). In this work, Leibniz set forth an alternative explanation to Newton's" (Cohen). [Pfautz] "begins: 'It has seemed best to the distinguished author, a first-rate mathematician of our time, to emulate the zeal and industry of the ancients and moderns together in promoting natural science, and to exhibit for the public good an outstanding example of it in this work of profound learning.' He then proceeds to summarize Newton's Preface, paraphrasing Newton's definition of 'rational mechanics' as 'the science of motions due to any forces, and of forces required for any motions.' He follows Newton in observing that in the three books comprising the Principia, Newton 'has undertaken to discuss matters relating to gravity and levity, elastic force, the resistance of fluids, and other forces of this sort - whether attractive or repulsive - and indeed the motion of bodies.' He then says that Newton has applied these principles and 'general propositions' to 'a clear model of the system of the world', setting forth 'by what forces of gravity bodies tend toward the sun and toward the other planets, in agreement with the celestial phenomena, and how the motions of the planets, moon, comets, and the sea follow from this.' "Continuing with his summary-paraphrase, Pfautz turns to the Definitions and Axioms. He mentions the definitions given by Newton of 'quantity of matter and of motion', of the 'inherent [or innate], impressed, and centripetal force'. He does not give the reader either extracts of paraphrases of Newton's definition of these quantities, nor does he comment on their possible novelty or originality, but merely echoes Newton to the effect that these are among the 'less commonly used terms' and therefore are to be defined. He then summarizes the scholium on space and time, stressing Newton's distinction between 'relative' or 'measured' and 'absolute' quantities. No critical comments are made concerning Newton's views on absolute and relative space and time. "The 'Axioms' or 'Laws of Motion' are treated at greater length. Each of the three laws of motion is quoted as are the corollaries. Thus the parallelogram law is stated and also Newton's result that 'the common center of gravity of all bodies acting on one another (external actions and impediments excluded) either is at rest or moves uniformly straight forward'. The scholium following the laws is paraphrased at great length. "It is evident that Pfautz is making a careful and complete paraphrase or summary or 'epitome' (as we shall see Newton call it) of the Principia, much like an extended and detailed table of contents. This is his method, once again, in dealing with Section One, on 'first' and 'last' ratios, where he paraphrases each of Newton's lemmas concerning limits and also Newton's statements concerning the reasons why he has rejected the method of indivisibles. As a trained practicing mathematician and a university teacher of mathematics, Pfautz was able to grasp the principal features of Newton's treatment of limits and to appreciate the significance of the purely mathematical features of Newton's presentation. "This brings Pfautz to Section Two and Proposition 1, the beginning of Newton's development of rational mechanics. On this score Pfautz says he had 'decided to present to the reader' the arguments of the first two books 'arranged in order', and with 'as much abridgement as possible.' But, as he was 'making a synopsis of this material, which extends through various categories and relations of bodies and motions combined with one another in various ways,' the 'writing grew to such a bulk that it far exceeded the limit which I had set for myself.' And thus he 'had to fear that the annoyance caused to the reader by such a long description of general propositions, so varied and not adapted to concrete things, ... might be greater than the loss caused by a disconnected review skimming only the main topics.' "From this point on, the presentation takes on more of a general summary character, in which Pfautz will not present the content of the Principia proposition by proposition and section by section. Adopting this more general tone, Pfautz observes that in the first two books 'motions of bodies of every kind are discussed - spherical and non-spherical, ascending and descending, projected, pendulous, fluid, and agitated by any kind of forces; motions in a straight line, in curved lines; motions circular, spiral, in conic sections - concentric with the center of forces and eccentric - in moving or unmoving orbits; progressive motions; motions propagated through fluids; likewise the centripetal, absolute, and accelerative forces of motions; times, velocities, and the increase and decrease of the latter; centers, areas, places, apsides, spaces, mediums, and the densities and resistances of mediums.' These, we are told, are all 'set forth in an investigation worthy of so great a mathematician.' Pfautz adds that interspersed among the propositions there are important lemmas on geometry, especially the geometry of conics, and also scholiums giving 'philosophical' (i.e., physical) examples of the abstract mathematical principles being expounded so that the latter will not appear sterile. "Following an extended summary of the many different topics explored by Newton, Pfautz reaches the conclusion of Book Two. He fully appreciates the significance of Newton's demonstration that the speed of planets in their orbits, moving 'more slowly in their aphelia and more swiftly in their perihelia' is 'the opposite of what ought to happen according to the mechanical laws of vortices.' He apparently can find no fault with Newton's ringing conclusion that the planetary speeds in Cartesian vortices contradict the celestial phenomena, even though he does not comment on the significance of the dreadful blow that Newton has dealt to Cartesian physics ... "Turning to Book Three, Pfautz observes that Newton 'lays down as foundation for the book' a set of 'hypotheses, partly physical, partly relying upon astronomical observations.' After summarizing these 'hypotheses', he gets to the heart of Book Three. Here, he says, Newton uses these astronomical data and the mathematical results of the first two books to 'demonstrate that the forces by which the circumjovial planets, the primary planets, and the moon are continually drawn off from their rectilinear motions and kept in their orbits are from their gravitation toward Jupiter, the sun, and the earth, and are reciprocally as the squares of the distances from the center of Jupiter, of the sun, and of the earth; that all bodies gravitate toward each of the planets, and that their weights toward any single planet, at equal distances from the center of the planet, are proportional to the quantity of matter in each one (from which he further infers that the weights of bodies do not depend upon their forms and textures, that a vacuum is necessarily given ...).' Here is an admirable summary statement of some of the principal new aspects of the Newtonian system of the world ... "Pfautz carefully drew out of Newton's text not only the primary features of Newton's system of the world but also many important details of Newton's presentation. These include Newton's results concerning the relative densities of the planets, the motions of the planets, the shape of the earth as an oblate spheroid, the precession of the equinoxes as a gravitational consequence of the earth's shape, the variation in weight with latitude, the inequalities of the motion of the moon explained by gravitational forces, and the ebb and flow of the sea also explained. "The review ends with a number of pages summarizing Newton's findings about comets. Here is a portion of Pfautz's summary in his own words. 'Concerning comets: that they are higher than the moon (the evidence being the lack of diurnal parallax) and they are in the region of the planets (their annual parallax proving this). He infers that the comets shine with light reflected from the sun and that in the circumsolar region many more are seen than in the region opposite the sun. Further, from their motions, in every way very free, preserved for a very long time even contrary to the motions of the planets, he concludes that the aether has no resistance ... He concludes that comets are a kind of planet, returning by continual motion into orbit and that they move in conic sections (ellipses but so like a parabola that parabolas can be used in their place without sensible error) having their focus in the center of the sun and that by radii drawn to the sun they describe areas proportional to the times.' Pfautz observes that Newton found 'an analogy with the planets' in that those comets 'are smaller which revolve in orbits that are smaller and closer to the sun'" (ibid.). As already mentioned, Leibniz referred to Pfautz's review in his article 'Tentamina de Motuum Colestium Causis', published in the Acta a year after the review. "Leibniz explained that while in Rome he had 'come upon an account of the celebrated Isaac Newton's Mathematical Principles of Nature' in the June 1688 issue of the Acta. 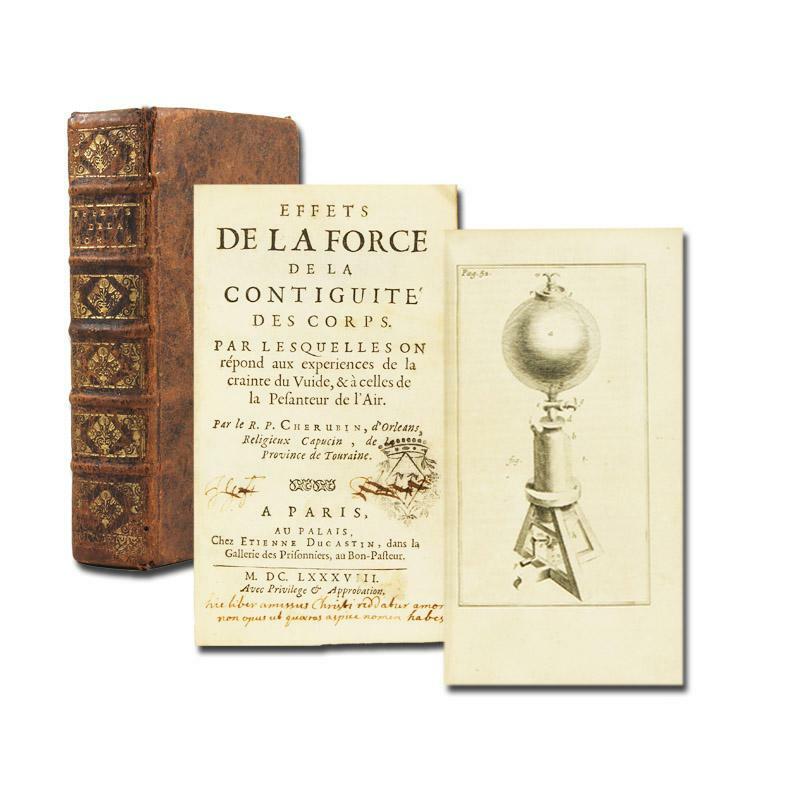 Although the topic of the causes of celestial motions was at that time 'far removed from my present line of thought', he wrote, his reading of the account of Newton's book recalled to mind some work he had done in Paris twelve years earlier. At that time he had decided not to publish his ideas on this subject, waiting until he could have the opportunity 'to make a more careful comparison of the geometrical laws with the most recent observations of astronomers.' But now, after reading about Newton's work, he had been stimulated to write up and publish his own very different explanations ... Newton never believed that Leibniz's theorem, published in the Acta in 1689, had truly been found earlier and independently of the Principia. In fact, he even declared that Leibniz's theorems '(Errors and Trifles excepted) are Mr. Newton's (or easy Corollaries from them).' In another document, in which Newton referred to Pfautz's review as 'an epitome' of the Principia, Newton said that Leibniz read the review and then proceeded to compose the three essays for the Acta 'as if he himself had discovered the principal propositions of Newton concerning these matters, and had done so by a different method, and had not yet seen Newton's book' ... For two centuries there had been no way of telling whether or not Leibniz had actually seen the Principia before writing his three articles, whether or not he had derived his information about Newton's results exclusively from Pfautz's review ... More recently, however, the profound investigations of Domenico Bertoloni Meli have uncovered some hitherto unnoticed notes by Leibniz. By a combination of careful analysis and deep historical insight, Bertoloni Meli has been able to identify these notes, to assign a date to them, and to determine their significance. They leave no doubt that Leibniz had been carefully reading the Principia before writing and publishing the three articles in the Acta" (ibid.). 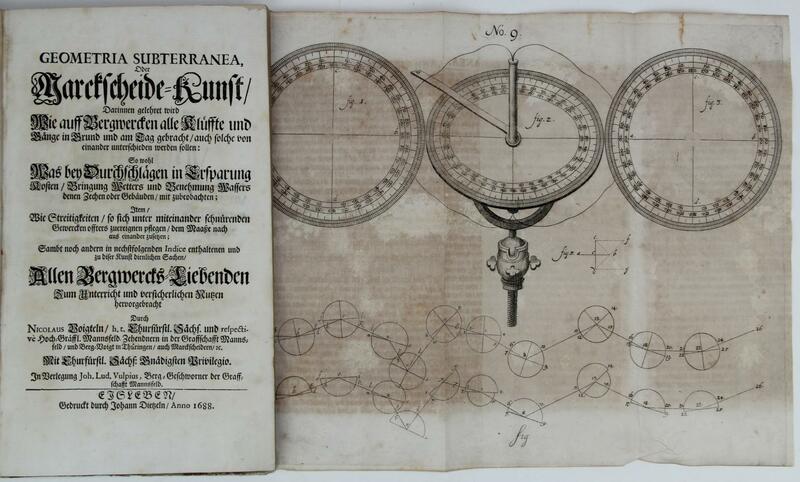 This volume of the Acta also contains three articles by Denis Papin (1647-1713) in which he outlines a new method of transmitting power from one point to another by means of an air-pump; two articles by the astronomer Gottfried Kirch (1639-1710) in which the Sceptrum Brandenburgicum, a star constellation, is first described; and three articles by Jakob Bernoulli (1655-1705). Bernard Cohen, 'The review of the first edition of Newton's Principia in the Acta Eruditorum, with notes on the other reviews,' pp. 323-336 in: The investigation of difficult Things. Essays on Newton and the History of the Exact Sciences, 1992. Not in Babson or Wallis. Pp. 303-315 in: Acta Eruditorum Anno M DC LXXXVIII publicata... 4to, pp. [viii], 672, [viii], with 13 engraved plates. Contemporary vellum, manuscript title on spine (small stamp to title page and library label to front paste-down, deaccessioned). Asia, Oder Genaue und Gründliche Beschreibung des gantzen Syrien und Palestins oder Gelobten Landes. Worinnen die Landschafften Phönicien, Celesyrien, Commagene, Pierien, Cyrestica, Seleucis, Sasiotis, Chalibonitis, Chalcis, Abilene, Apamene, Laodicis, Palmyrene, etc., Neben denen Ländern Perea oder Ober-Jordan, Galiläa, dsa absonderliche Palestina, Judäa und Idumea begriffen sind. 200, 400 S. + Taf. Hardcover Originalausgabe 1688, kein Reprint. 2 Teile in 1 Bd. HLd. d. Z., inkl. zahlr. Kupferstiche u. Karten. 3-seitiger Rotschnitt. Kanten bestoßen, Einband berieben, Vorderdeckel mit Resten einer alten Signatur. Papier- und altersbedingte Seitennachdunkelung, Tafeln teilw. randgebräunt, Falzen vereinzelt eingerissen. Text u. Abb. ansonsten sauber. Dem Alter entsprechend guter, gepflegter Zustand. Weitere Fotos und Informationen auf Anfrage. 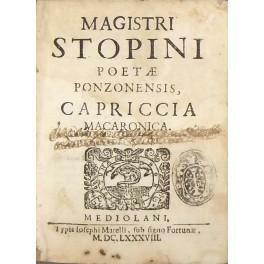 a spese di Carlo Porpora, 1688. Cm. 24,5, pp. (22) 229 (3). Bel frontespizio interamente figurato, capolettera e fregi in xilografia. Legatura coeva in cartonato alla rustica con nervi passanti e titoli manoscritti al dorso. Esemplare genuino ed in ottimo stato di conservazione, stampato su carta particolarmente forte. Un timbro (gentilizio?) al frontespizio. Seconda edizione, dopo l'originale del 1641. Studio che riguarda il Ginnasio di Napoli in età romana, ricco di notazioni sulla sua importanza socio-politica, sugli spettacoli in esso celebrati, tra cui i Giochi Capitolini, sull'archeologia del suo edificio, etc. "Opera di gran conto presso gli eruditi. Dopo aver parlato diffusamente di tutti i giuochi e spettacoli che si rappresentano a Napoli tanto ne' tempi precedenti ad Augusto, che ne' posteriori. dimostra che tutti i Ginnasi dell'Ellenistico mondo, e per conseguenza che quello di Napoli, fossero stati assolutamente fondati per gli esercizi corporali e non già per quelli dello spirito." (Giustiniani). Il Lasena (Napoli, 1590-Roma, 1636) fu celebre giurista, erudito e filologo. Vinciana, 4476: "Interessante trattato archeologico". Reçu de 1688 sur les missions jésuites en Amérique. 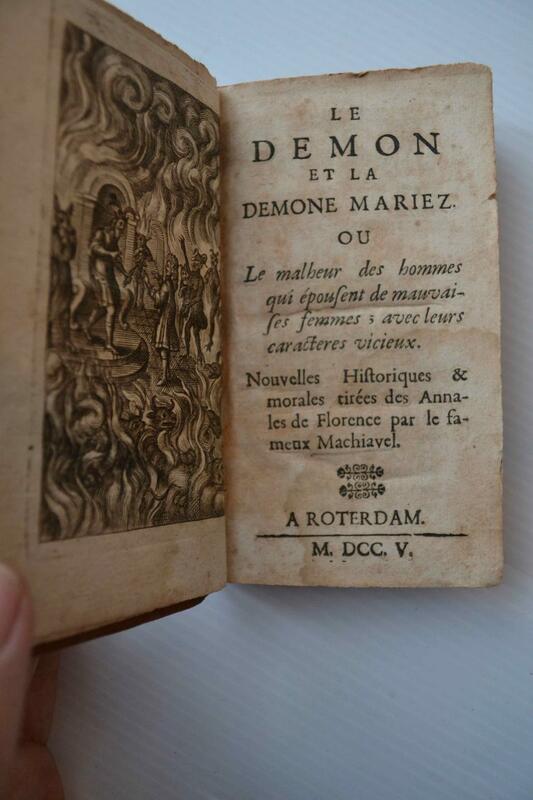 LE DEMON ET LA DEMONE MARIEZ. Ou le malheur des hommes qui épousent de mauvaises femmes ; avec leurs caractères vicieux. Nouvelles historiques & morales tirées des annales de Florence par le fameux Machiavel. s.n., A Roterdam 4228 - Deux parties en un volume, in-12, de  ff., 80 pp.,  ff., 114 pp.Pleine basane marron, dos à nerfs orné, tranches mouchetées (reliure de l?époque).Reliure abîmée aux coiffes, mouillures et brunissures. Première édition française, rare, de ce recueil composé de deux ?uvres : la première, dédiée aux dames de Cologne, est une traduction anonyme (en fait de la main de Catherine-Charlotte Patin) de la nouvelle de Machiavel, Belfagor arcidiavolo, sous le titre Rodéric, ou le démon marié. La deuxième, La démone mariée, est revendiquée par Mlle Patin, dont le nom apparaît en signature de la dédicace, datée de 1688.Bien complet du frontispice démoniaque et des deux curieuses planches gravées.Caillet, 8370.Guaita (1959), ne possédait que la seconde partie parue isolément en 1745 «à Demonopolis».Manque à Yve-Plessis. Cherubin d'Orleans, R. P(ère) (d.i. François Lasséré). Effets de la force de la contiguité des corps. Par lesquelles on répond aux experiences de la crainte du vuide, & à celles de la pesanteur de l'air. 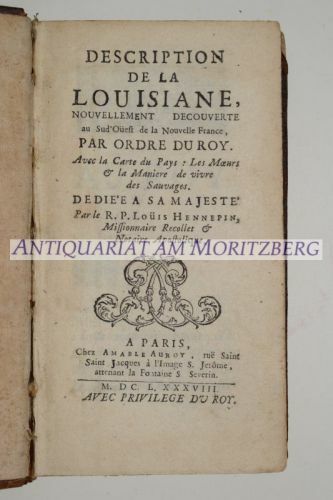 Description de la Louisiane, Nouvellement découverte au Sud Ouest de la Nouvelle France, par ordre du Roy. Avec la Carte du Pays: Les Moeurs & la maniere de vivre des Sauvages. 2. Ausgabe (zuerst 1683). Europäisches Geheimes Staats-Cabinet Das ist: Eine Politische Staats- und Kriegs-Consultation der meisten fürnemsten Potentien in Europa angestellet und gepflogeu uber die grausamen ja mehr als Türckischen Proceduren des Königs in Franckreich Ludwig des XIV. so er seit letzt gethanem Friedens-Bruch in Teutschland verübet. O.O. 1690. 4°. 4 Bll., 303 S., Pbd. mit altem Prgt.-Manuskript-Bezug. - VD17 3:303994Q (nicht in Wolfenbüttel).- Sehr seltene einzige Ausgabe.- Als 1688 Kaiser Leopold I. in einen schweren Konflikt mit den Türken verwickelt war, ließ der Ludwig XIV. ein Heer von 20 000 Mann in Westdeutschland einfallen.Die Truppen plünderten Dörfer und Städte; Speyer wurde dem Erdboden gleich gemacht, der Dom angezündet.- Etw. gebräunt, tls. braunfl., mehrere Bll. mit kl. Randläsuren, tls. angerändändert oder unterlegt, Vorsätze erneuert. 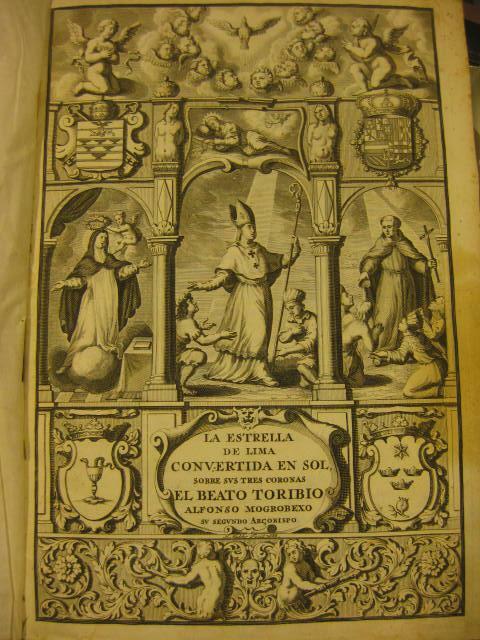 Amberes, Juan Baptista Verdussen, 1688 - Folio, pergamino rotulado en lomo algo rozado. Frontis calcográfico y escena de la vida del biografiado, a toda pagina, grabados por Mulder, +381+ p; FALTO DEL PLANO DE LIMA. Anotación en guarda y portada, leves manchas, pero buen estado general. Capitulares, culs de lampe. PALAU: "Se dice que el verdadero autor es José de Buendía"
Kst.- Karte, b. Desgranges, "Carte du Palatinat du Rhin et des Etats aux Environs .". London: Printed by W. Horton, for W. Crooke at the Green Dragon without Temple-Bar, 1688. 3rd Edition (Wing H2094C). 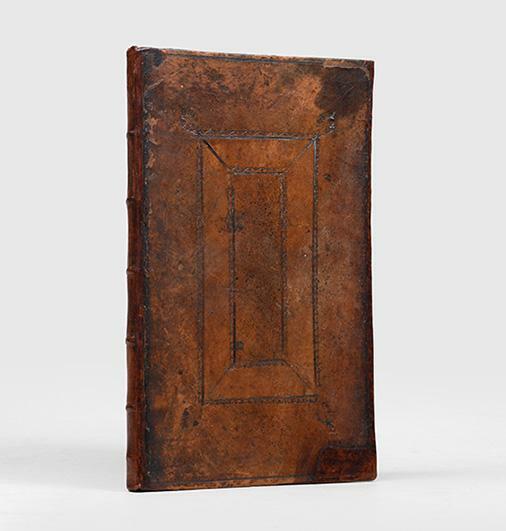 Early tan full calf binding (rebacked), with gilt-stamped arms to boards. Gilt dentelles. Marbled eps. Pale blue ribbon page marker. Modest binding wear. Fairfax bookplate. Prior owner signature to preliminary blank. 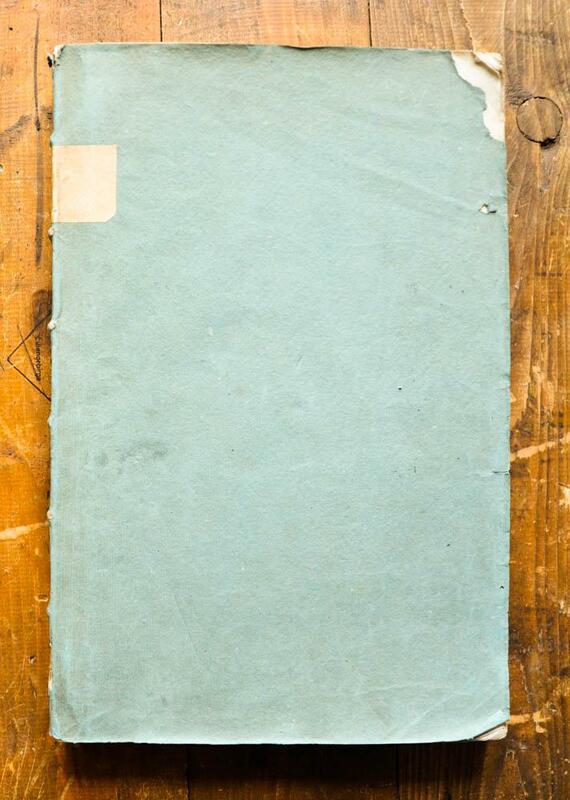 Title leaf with unobtrusive paper repair to verso; period ownership signature of T. Holt White to t.p. top margin. Bookseller slip to rear paste-down. Withal, Very Good.. , 190 pp. 'To the Reader' signed 'W.C. ', i.e., William Crooke. Apparently lacking 3 leaves at rear (R6, *^2, [adverts?]). Frontispiece of James II (slightly trimmed, image not affected). 12mo: A^4 [A1 = Frontis?] B - R^6 [-R6, an advert?]. 6-3/16" x 3-5/8"
" Rara e storicamente importante mappa dell'antica capitale del Siam, Ayuthaya, ideata dal Coronelli immediatamente prima della rivoluzione siamese del 1688, che limitò le attività europee nella regione. Il termine Siam è un esonimo usato dagli occidentali già dal XVII secolo, a denominare quello che allora era in realtà il regno di Ayutthaya, corrispondente all'attuale Thailandia. Esemplare tratto dal rarissimo ""Citta, Fortezze e, Isole, e Porti principlai dell'Europa in Pianta et in Elevatione, Descritte, e Publicate Ad uso dell'Accademia Cosmografica degli Argonauti dal Padre Maestro Coronelli Lettore, e Cosmografo della Serenissima Republica di Venezia"" edito a Venezia da Domenico Padovani nel 1689. Incisione in rame, magnifica prova, con pieni margini, tracce di colla alla piega centrale, per il resto in perfetto stato di conservazione." "Scarce and historically important map of the Siamese capital of Ayutthaya, by Vincenzo Maria Coronelli, issued immediately prior to the Siamese Revolution of 1688, which henceforth restricted European activities in the kingdom. This example of the map is taken from the very rare Coronelli's ""Citta, Fortezze e, Isole, e Porti principlai dell'Europa in Pianta et in Elevatione, Descritte, e Publicate Ad uso dell'Accademia Cosmografica degli Argonauti dal Padre Maestro Coronelli Lettore, e Cosmografo della Serenissima Republica di Venezia"" printed in Venice by Domenico Padovani in 1689. The present work is the finest and most important printed map of Ayutthaya (transliterated on the map as 'Iudia'), which served as the capital the Kingdom of Siam (Thailand) during the 'golden age' of the Ayutthaya Period (1351-1767). Ayutthaya was located further up the Chao Praya River from modern Bangkok and is thought to have been the world's largest city at time, with over 1 million residents. Foreign visitors were dazzled by the scope and wealth of the metropolis, which was favorably compared to Paris. Siam was then a major Asian power, and included not only present day Thailand, but also parts of modern Cambodia and Malaysia. As shown, the city was located on an island, divided by canals. Large temples and palaces were built near the water, while substantial built up areas of houses with market places made up the majority of the city. Areas alloted to Europeans are noted, such as the appearence of several churches and the long-established 'Quatrtiere de Portughesi' (Portuguese Quarter). An inset on the left shows the progress of the 'F[leuve] Siam' (Chao Praya River) southwards towards 'Bancoc' (Bangkok), then a comparatively small fortified settlement. The composition is finished by the appearance of the attractive royal arms of Siam, which feature an elephant. Siam was first visited by Europeans in 1511, when Duarte Fernandes led a Portuguese embassy to Ayutthaya. While Siam was never formally colonized or claimed by a European power, the French and Dutch had set up trading posts and Christian missions along the Chao Praya estuary. The present plan was the result of France's first embassy to Siam 1685, which was led by the Chevalier de Chaumont in the company of six Jesuit fathers. Louis XIV had long maintained an especially friendly correspondence with King Narai of Siam (ruled 1656-1688), and was eager to shore up their relationship. During Chaumont's visit, his Jesuit companions, who were well-versed in cartography, made manuscript plans of Ayutthaya which were soon dispatched to Paris. However, shortly after Chaumont's embassy, there was an intense popular uprising against the growing foreign presence in Siam and the king's seeming obsession with everything European. King Narai even went as far as to make a Greek adventurer, Constantine Phaulkon, his de facto prime minister. This was all too much for Siamese officials and nationalists. In what became know as the Siamese Revolution of 1688, forces loyal to the Mandarin Phetracha overthrew Narai's government. Phetracha ascended to the throne and immediately expelled the French from Siam, while severely limiting the activities of the Dutch and other foreigners. This ensured that following the publication of the present map very little new European mapping was executed in Siam during the 18th-century. Ayuttaya was sacked by the Burmese in 1767, which led to the fall of the Ayutthaya kingdom, after which point Bankok grew in importance. Today many fine ruins can still be visited in Ayutthaya. The present map was issued by Vincenzo Maria Coronelli (1650-1715), a Venetian master who had been invited to Paris by Louis XIV to undertake cartographic projects, including the construction of the colossal 'Marly Globes'. Coronelli was given access to the Jesuit manuscripts of Ayutthaya, which they fashioned into the present map. This map is one of several groundbreaking Coronelli maps of many parts of the World, done during a time when France assumed a leading role in the exploration of America and Asia. The Coronelli plan of Ayutthaya is one of the most important early maps relating to Thailand and Asian urban history, and is a cornerstone of any serious collection." 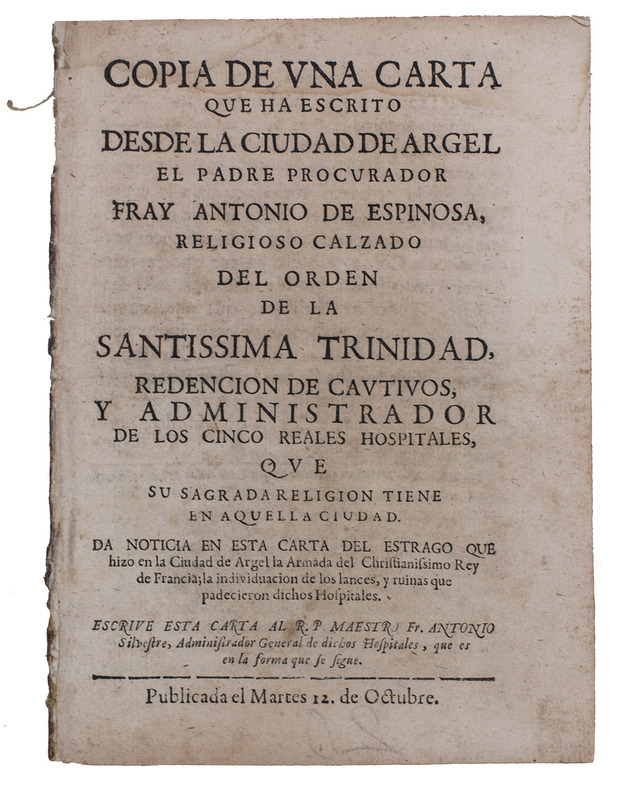 Copia de una carta que ha escrito desde la ciudad de Argel el padre procurador Fray Antonio de Espinosa, religioso calzado del Orden de la Santissima Trinidad, redencion de cautivos, y administrador de los cinco reales hospitales, que su sagrada religion tiene en aquella ciudad. (Colophon: Madrid, Sebastian de Armendariz), 12 October . Small 4to (19 x 14 cm). With a large woodcut initial with a parrot. Disbound. - Palau 82664; WorldCat (1 copy). 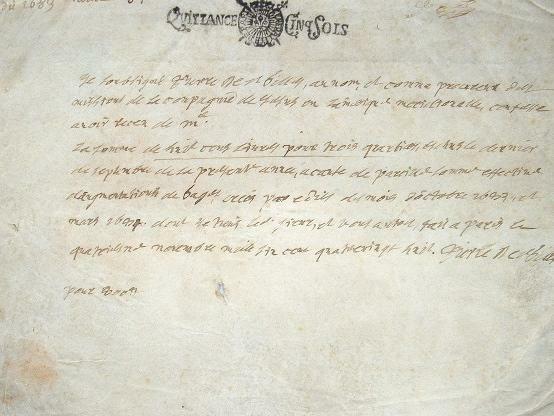 Very rare first and only early edition of a letter written by the Spanish friar Antonio de Espinosa at Algiers, after the city had been bombed by the French navy in 1688. Espinosa worked as an administrator at the hospitals of the Trinitarian Order in the city. He describes the arrival of the French fleet on 26 June, the diplomatic actions between the French and the ruler of Algiers, and the subsequent bombing of the city. The bombing led to reciprocal trials and executions by Algiers's government against the non-native inhabitants of the city, including Espinosa. Algiers was an important base for pirates, who started attacking French ships after the city signed a peace treaty with Great Britain. The French responded with bombardments in 1683 and 1688, which led to a peace treaty in 1690. Browned and with a water stain in the head margin, otherwise in good condition. Cat. Redoutéana 37 note; Stafleu & Cowan 9688; cf. Dunthorne 252; Nissen, BBI 1688. Rare second edition, printed from the original plates of the 1805 first edition, of Redouté's beautifully illustrated publication of letters on botany by the great philosopher Jean Jacques Rousseau (1712-1778), written in the years 1771 to 1773 and apparently first published in 1782. The plates show flowers, fruits, bulbs, leaves, etc. of flowering plants and trees, some showing whole plants and others showing details, sometimes cut away to reveal anatomical details. The book serves largely as a vehicle to display the botanical art of Pierre Joseph Redouté (1759-1840) who executed all the paintings or watercolour drawings. They were stipple-engraved and (except for that used as a title-vignette) printed in colour à la poupée and finished by hand. Although Rousseau's letters had been published earlier, they first appeared with Redouté's illustrations in 1805, in both a folio and a quarto issue, the latter reissued in 1821. The present is a new edition, beautifully printed by Alexandre Baudouin and his brother on heavy wove paper.The text leaves are slightly foxed throughout, but the plates show only occasional light foxing. Otherwise in very good condition, with only a browned patch in the gutter margin of one plate, not approaching the image. Some plate numbers trimmed off. Binding scuffed but structurally very good. A lovely display of Redouté's botanical art matched to the botanical writings of the French philosopher Jean Jacques Rousseau. Cantus omnis ecclesiasticus ad hebdomadae maioris Missas, passionem D.N.I.C., Officia Tenebrarum, Lamentationes, Benedictiones, Processiones, &c.
Geometria subterranea, oder Marckscheide-Kunst, darinnen gelehret wird wie auff Bergwercken alle Klüffte und Gänge in Grund und am Tag gebracht, auch solche von einander unterschieden werden sollen: So wohl was bey Durchschlägen in Ersparung Kosten, Bringung Wetters und Benehmung Wassers denen Zechen oder Gebäuden, mit zubeobachten; item, wie Streitigkeiten, so sich unter miteinander schnürenden Gewercken offters zuereignen pflegen, dem Maaße nach aus einander zusetzen; sambt noch andern in nechstfolgenden Indice enthaltenen und zu diser Kunst dienlichen Sachen, allen Bergwercks-Liebenden zum Unterricht und versicherlichen Nutzen hervorgebracht. Des Königreich Dalmatien. Historische und Geographische Vorstellung, Enthaltend Die Thaten aller Könige, So über Croatien und Dalmatien iemahls geherrscht haben, Wie auch Eine Beschreibung der Morlachey, der Republic Ragusa, der vornehmsten dalmatinischen Städte, Schlösser, Insulen, Flüsse. ins hochteutsche ubersetztet durch H. H. d. R. C.
Gridario generale delle gride, bandi, ordini, editti, provvisioni, prematiche, decreti, et altro [..]. per Marc'Antonio Pandolfo Malatesta, 1688. In-folio (cm. 29,8), legatura coeva in p. pergamena rimontata (titolo anticamente ms. al taglio inferiore); pp. [2bb] 126 [2bb],  104,  174 [2bb],  53 [3bb],  113 [6bb],  135 [1b],  244 con 1 tavola ripiegata f.t. (grida) in fine, e 1 tavola di ritratto f.t. del Malatesta in antiporta; lievi fioriture sparse, leggera gora al margine superiore di qualche carta, macchioline all'occhietto. Opera che raccoglie tutti gli editti, ordini e bandi promulgati dagli 8 governatori dello Stato di Milano che si succedettero dal 1656 al 1686 nell'amministrazione della giustizia, nel campo militare e in quello politico. Esemplare molto buono. London: Printed by Miles Flesher, for Jacob Tonson, at the Judge's-Head in Chancery-lane near Fleet-street, 1688. First illustrated edition of Milton's masterpiece. 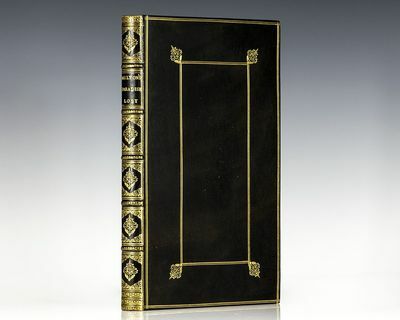 Folio, bound in full calf, gilt titles and tooling to the spine, raised bands, gilt ruled to the front and rear panels, marbled endpapers, with portrait frontispiece, illustrated throughout. In very good condition with some toning to the text, contemporary name. A very nice example. First published in 1667, "Paradise Lost is generally conceded to be one of the greatest poems in the English language; and there is no religious epic in English which measures up to Milton's masterpiece... Milton performed an artist's service to his God" (Magill, 511, 515). The writer and critic Samuel Johnson wrote that Paradise Lost shows off "[Milton's] peculiar power to astonish" and that "[Milton] seems to have been well acquainted with his own genius, and to know what it was that Nature had bestowed upon him more bountifully than upon others: the power of displaying the vast, illuminating the splendid, enforcing the awful, darkening the gloomy, and aggravating the dreadful." By 1688, when England was on the verge of the Whig revolution, Milton's reputation had revived considerably. He was commended for his republicanism as well as his record as a defender of liberty. His supporters believed that his greatest poetic achievement merited this handsome, monumental edition. One of the earliest examples of subscription publishing, financed by Lord Somers, the fourth edition of Paradise Lost was the first to be printed in folio format and is the first illustrated edition, distinguished by high quality paper, large, clear type, and ample margins. Milton had previously reorganized the poem into twelve books (by splitting Books 7 and 10 of the original) to parallel Virgil's Aeneid more closely. Manuale exorcistarum, ac parochorum: hoc est tractatus de curatione, ac protectione divina. Prodit quator indicibus locupletatum. 12 Bll., 352 S., 14 Bll. Neuer brauner Lederband mit goldgeprägtem Rückentitel. 24 x 17 cm. Vgl. Caillet 1688 und Rosenthal 2047 (frühere Ausgaben) - in keiner Ausgabe bei Ackermann, Dorbon und Graesse, BMP. - Erschien erstmals 1651 in Bergomi. - Manuel dexorcisme fort rare (Caillet). - Stempel und Namen auf dem Titel, teilweise etwas stockfleckig. Gutes Exemplar. - Chez Henry Van Bulderen, A La Haye 1688, In-12 (9,5x16cm), (8) 256pp., relié. - Edition. Legatura in pieno periodo di pelle di pecora marrone maculato. Indietro con i nervi decorati. pezzo titolo marocco marrone. testa dei rotatori lacerata. Un angolo rotto mancante. Un angolo ottuso. Strofinato insieme. - [FRENCH VERSION FOLLOWS] Edition originale. Reliure en pleine basane brune mouchetée d'époque. Dos à nerfs orné. Pièce de titre de maroquin brun. Coiffe de tête arrachée. Un coin cassé manquant. Un coin émoussé. Ensemble frotté. Jusqu'en 1660, l'église protestante de la Principauté d'Orange connut la prospérité, date à laquelle le territoire commença à subir les effets de la politique anti-protestante du royaume. La principauté fut plusieurs fois occupés par les soldats et les protestants connurent des persécutions (les fameuses Dragonnades perpétrés par les Dragons). En 1685, les pasteurs de l'église d'Orange furent déportés à Lyon pour être emprisonnés, en devant abjurer leur foi et embrasser la catholique. Jacques Pineton de Chambrun, qui raconte les persécutions subis par les protestants et les pasteurs, promis ainsi de se faire catholique (c'est l'objet du sermon sur le Reniement de Saint Pierre). Par suite d'une fracture, l'auteur fut transporté à Valence, puis il obtint la permission de se rendre à Lyon où il réussit à s'échapper pour se réfugier à Genève. Il gagna ensuite La Haye, ville où il prononça son fameux sermon. L'ouvrage constitue un témoignage important des exactions subis par les Protestants. Ex libris Hardwicke knight, avec un écureuil. Kupferstich- Karte, von Happel, "Eine newe Land Karte von Wien biß nach Contantinopel und angräntzenden Ländern". 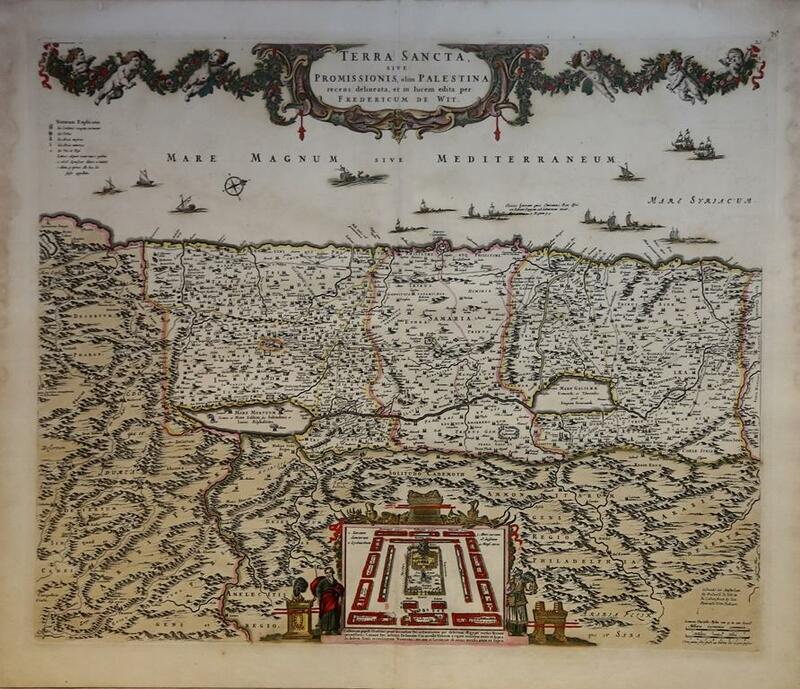 - 1688, 24 x 50.5 Szantai, Atlas Hungaricus, Happelius 2a mit Abbildung. - Sehr seltene Donaulaufkarte, erschienen 1688 bei Thomas von Wierung in Hamburg. Zeigt die Donau östlich von Wien mit ihren Nebenflüssen. Unten links die Titelkartusche. A Relation of the Voyage to Siam Performed by Six Jesuits, sent by the French King, to the Indies and China, in the year, 1685. With their astrological observations, and their remarks of natural philosophy, geography, hydrography, and history. Published in the original, by the express orders of His most Christian Majesty. And now made English, and illustrated with sculptures. Wien in Oesterreich, 1683, d. 1. January". Kupferstich nach Daniel Suttinger von Johann Christoph Weigel. Dresden, Mathesius, 1688 - Nebehay-W. 729, 1. - Schönes Gesamtansich der Stadt Wien von der Laimgrube (d. i. Südwesten) aus, knapp vor der zweiten Türkenbelagerung. - Daniel Suttinger (ca. 1640 - ca. 1690) hielt sich ab 1671/1672 ständig in Wien auf. "Bereits ab 1672 war er mit der Anfertigung eines (verschollenen) Holzmodells der Stadt Wien beauftragt, das er 1680 ablieferte und das eine Grundlage für den Anguissola-Marinoni-Plan bildete. Ab 1676 schuf er qualitätvolle Stadtprofile beziehungsweise Ansichten Wiens von Norden und Süden aus, von denen fünf überliefert sind (drei als Federzeichnungen, zwei als Stiche des 1683 in Wien weilenden Nürnberger Kupferstechers Johann Christoph Weigel). Während der Zweiten Türkenbelagerung (1683) war Suttinger in Wien und stand in engem Kontakt mit dem Oberstleutnant und Oberingenieur Georg Rimpler, dessen Festungsmanier Suttinger später in zwei Schriften verteidigte. Noch 1683 erhielt Suttinger den Titel eines Hauptmanns, im selben Jahr entstand eine Vogelschau des westlichen Teils der Stadt mit türkischen Laufgräben und Minen (circa 1:2.700), die Suttinger auch selbst stach (danach schuf er auch ein [verschollenes] Holzmodell), 1687 folgte ein Plan der Entsatzschlacht mit Darstellung der Umgebung Wiens (verschollene Federzeichnung, 1688 durch Mauritius Bodenehr in Dresden gestochen, circa 1:18.000). 1688 veröffentlichte er auch einen Bericht über die Belagerung. 1684 stellte Suttinger einen (nach 1939 verschollenen) Grundrissplan der Stadt Wien fertig (Federzeichnung, circa 1:1.800), der die Namen der Hausbesitzer enthielt und heute nur in Reproduktionen überliefert ist. 1688 begegnet uns Suttinger als Oberhauptmann der Kurfürstlich-Sächsischen Feldartillerie in Dresden" (Wien Gewschichte Wiki). - Auf zwei zusammengesetzten Blättern gedruckt. Etwas gebräunt bzw. angestaubt, stellenweise leicht fleckig. Mit den üblichen alten Faltstellen, in den Bildecken jeweils kl. Quetschfalte. Rückseitig 1/4 des Blattes von alter Hand in Tinte beschrieben. *** /// *** Copyright: Matthaeus Truppe - Stubenberggasse 7 - A-8010 Graz - +43 316 829552 *** /// *** Sprache: Deutsch Gewicht in Gramm: 0 Aus: Danier Suttinger, Entsatz Der Kayserlichen Haubt- und Residenz-Stadt Wien in Oesterreich. London: printed and are to be sold by Randal Taylor,, 1688. Translated out of Arabick into French, by the Sieur du Ryer, Lord of Malezair, and Resident for the French King, at Alexandria. And newly Englished, for the Satisfaction of all that Desire to look into the Turkish Vanities. To which is prefixed, the Life of Mahomet, the Prophet of the Turks, and Author of the Alcoran. With a Needful Caveat, or Admonition, for them who desire to know what Use may be made of, or if there be Danger in reading the Alcoran. Folio (368 x 232 mm). Contemporary panelled sheep, rebacked to style, edges sprinkled red. Contemporary ownership inscription, "H. S. G.", to the initial blank. 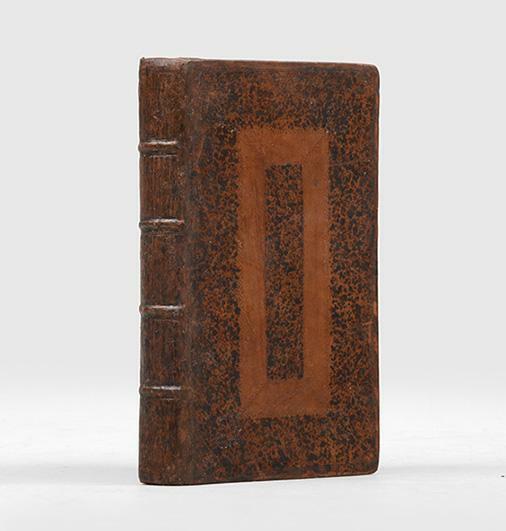 Slightly rubbed, skilful restoration to extremities and lower outer corners, light scattered craquelure, 2 superficial worm-tracks to rear board, inner hinges partially cracked, but sound, marginal browning to pastedowns and free endpapers, front free endpaper chipped, title page soiled and with old restoration to upper outer corner, mild undulation to text-block, occasional light spotting or soiling to margins, worm-track to upper inner corner from sig. Hh to rear pastedown, the text never affected. A very good copy. First folio edition of the first English translation of the Qur'an. The "Needful Caveat" is signed Alexander Ross (c.1590-1654), who was chaplain to King Charles I and is usually assumed to have been responsible for the translation as a whole, which was first published in 1649 in quarto and octavo editions. It was based on the first edition in French, which had appeared in 1647. The work was originally intended for royal dedication but was not ready by the time of Charles's execution in January 1649; on 19 March parliament issued a warrant to seize all copies of the book and Ross was summoned before a parliamentary committee, though the translation was eventually published several weeks later, with a prefatory address entitled "The Translator to the Christian Reader" together with Ross's caveat; there is also a 13-page "Life of Mahomet". Ross's caveat, which compares Islam to other historical heresies from the Old Testament and classical antiquity, demonstrates an "interest in comparative religion [which] reflects a new, albeit highly sceptical engagement with Islamic doctrine" (Birchwood, Staging Islam in England: Drama and Culture, 1640-1685, p. 67). Although the English translation was made directly from the French without reference to Arabic, it proved highly influential in continental Europe, and was the basis for further versions in Dutch, German, and Russian (Leaman, ed., The Qur'an: An Encyclopaedia, p. 667). 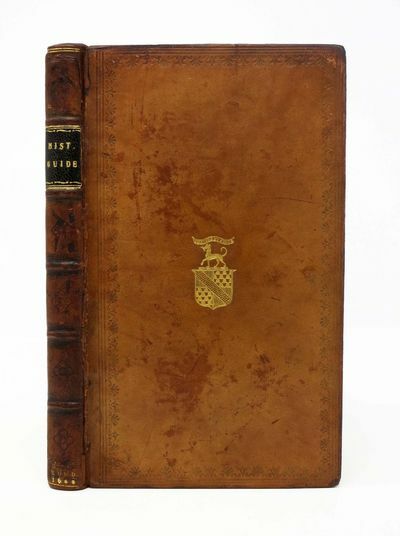 Taylor also published an octavo edition in the same year, of which copies occasionally appear for sale; this folio version is highly uncommon, with no copies traced at auction. The Alcoran of Mahomet. Translated out of Arabick into French, by the Sieur du Ryer, Lord of Malezair, and Resident for the French King, at Alexandria. And newly Englished, for the Satisfaction of all that Desire to look into the Turkish Vanities. To which is prefixed, the Life of Mahomet, the Prophet of the Turks, and Author of the Alcoran. With a Needful Caveat, or Admonition, for them who desire to know what Use may be made of, or if there be Danger in reading the Alcoran. 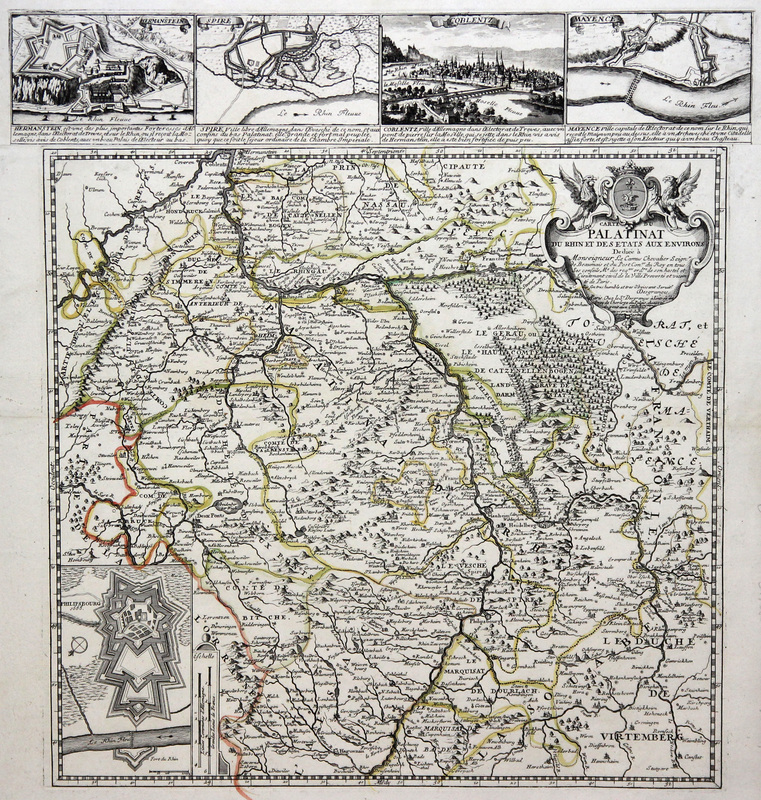 London: printed and are to be sold by Randal Taylor, 1688 - Folio (368 x 232 mm). Contemporary panelled sheep, rebacked to style, edges sprinkled red. Contemporary ownership inscription, "H. S. G.", to the initial blank. 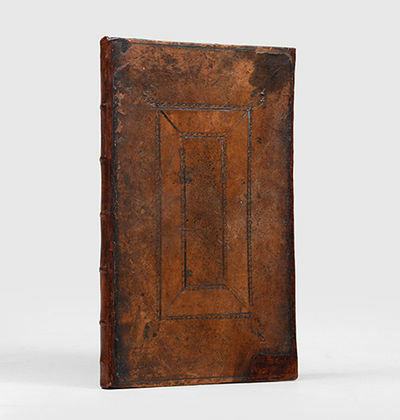 Slightly rubbed, skilful restoration to extremities and lower outer corners, light scattered craquelure, 2 superficial worm-tracks to rear board, inner hinges partially cracked, but sound, marginal browning to pastedowns and free endpapers, front free endpaper chipped, title page soiled and with old restoration to upper outer corner, mild undulation to text-block, occasional light spotting or soiling to margins, worm-track to upper inner corner from sig. Hh to rear pastedown, the text never affected. A very good copy. First folio edition of the first English translation of the Qur'an. The "Needful Caveat" is signed Alexander Ross (c.1590-1654), who was chaplain to King Charles I and is usually assumed to have been responsible for the translation as a whole, which was first published in 1649 in quarto and octavo editions. It was based on the first edition in French, which had appeared in 1647. The work was originally intended for royal dedication but was not ready by the time of Charles's execution in January 1649; on 19 March parliament issued a warrant to seize all copies of the book and Ross was summoned before a parliamentary committee, though the translation was eventually published several weeks later, with a prefatory address entitled "The Translator to the Christian Reader" together with Ross's caveat; there is also a 13-page "Life of Mahomet". Ross's caveat, which compares Islam to other historical heresies from the Old Testament and classical antiquity, demonstrates an "interest in comparative religion [which] reflects a new, albeit highly sceptical engagement with Islamic doctrine" (Birchwood, Staging Islam in England: Drama and Culture, 1640-1685, p. 67). Although the English translation was made directly from the French without reference to Arabic, it proved highly influential in continental Europe, and was the basis for further versions in Dutch, German, and Russian (Leaman, ed., The Qur'an: An Encyclopaedia, p. 667). Taylor also published an octavo edition in the same year, of which copies occasionally appear for sale; this folio version is highly uncommon, with no copies traced at auction. Wing K748. Topographia archiducatus Carinthiae antiquae & modernae completa. Das ist Vollkommene und gründliche Land-Beschreibung dess berühmten Erz-Herzogthums Kärndten. London: Printed by Joseph Streater, for sale by T Basset, J Robinson, B Aylmer, Joh Southby And W Canning, 1688 A very good copy of this important work on comparative anatomy with engraved title; rubricated title and 30 plates. The original publication had 2 separate parts, both complete in themselves - the second section 'The Measure of the Earth' translated by Richard Waller, is not present. Alexander Pitfeild undertook to translate this work, originally led by Charles Perrault for the Royal Academy of Sciences in Paris. Animals, mostly from the royal menageries at Vincennes and Versailles, were supplied to the Royal Academy, for detailed study and dissection. The first publication including 13 species, appeared in 1671 with a second volume 5 years later. The publications had very short print runs and were very expensive being elephant folio with detailed art work mainly by Sebastien Leclerc. There was a growing desire to learn about natural history and the nature of animals and copies of Perrault's work were almost impossible to obtain. Pitfeild's translation was much needed and it became the only work published on comparative anatomy in England between 1660 and 1700. Richard Waller undertook the illustrations, copying Leclerc but reducing the size, taking care to keep the drawings in proportion. The second part, missing here, was undertaken not because it was linked in any way, but because it was important and of interest to the Royal Society. 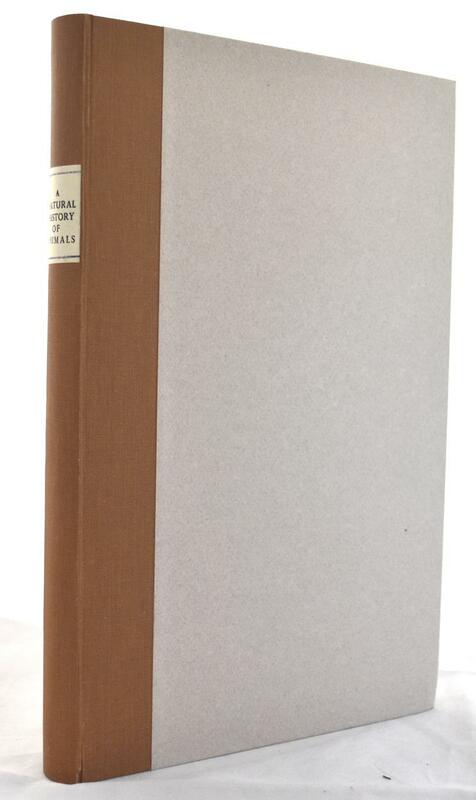 Copies of Pitfeild's translation are extremely scarce. 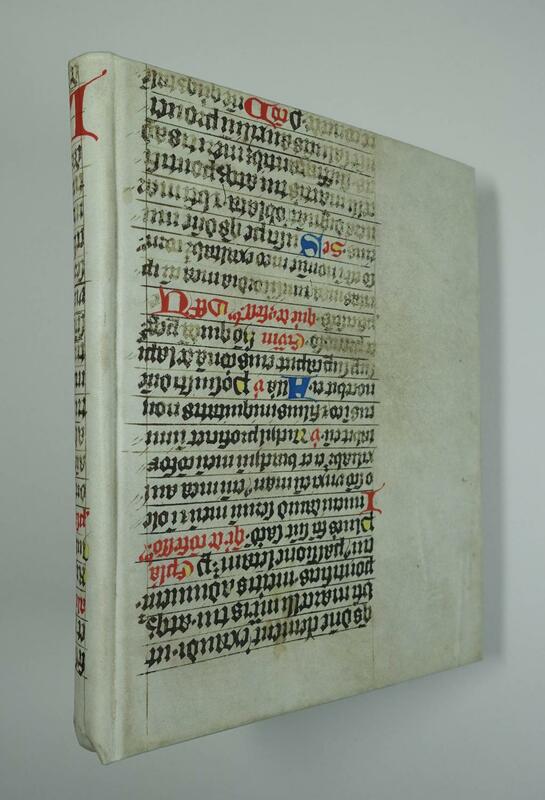 This copy is in a new binding with cloth spine with title label and paper-covered boards. Contents: engraved title page; rubricated title page; permission for printing by the Royal Society (with 2 ink reference numbers at the top); dedication; To The Reader 2pp; preface 9pp; text pp 1- 267 with 30 plates (p 1 with small stamp to bottom margin; a few light ink spots to bottom side margins pp 48 & 49; small repaired edge tear bottom p141; alphabetical table of animal names with errata 2pp; index of anatomical matters 11pp; finis. Contents in very good clean condition. There is some staining which is mostly to the top outer page corners and varies in intensity. Occasional light marking elsewhere. Please enquire if you would like to see more images. Le secrétaire turc contenant l'art d'exprimer les pensées sans se voir, sans se parler et sans s'écrire. Avec les circonstances d'une avanture turcque & une relation très curieuse de plusieurs particularitez du Serrail qui n'avoient point encore esté sceues. Paris, Michel Guerrout, 1688. ____ Edition originale de ce livre très curieux. "Il y a bien des manières d'exprimer l'amour. ... La plupart des Turcs "ne savent ni lire, ni écrire, & n'ont aucune liberté de communiquer avec les femmes. Ils ne sont pourtant pas insensibles; au contraire... Ce peuple qui manque des moyens ordinaires pour faire connaitre sa passion, tâche d'en inventer d'extraordinaires. Les fleurs, les fruits, les bois, les aromates, les soies, l'or, l'argent, les couleurs, les étoffes, & enfin presque toutes les choses qui servent au commerce de la vie, entrent chez les Turcs dans celui de l'amour. ... De sorte qu'un petit paquet, gros comme le pouce, si l'on a égard à ce qu'il enferme, compose un discours fort expressif". L'auteur explique donc tous les symboles, les idées ou même les phrases qui sont attachés à ces objets, et donne en quelque sorte un manuel de conversation galante par ce procédé. Cet ouvrage est aussi l'occasion de détailler les moeurs exotiques du Sérail et contient l'aventure amoureuse de Gulbeyaz, principale esclave de la Sultane Validé. L'auteur, Du Vignau ou des Joanots du Vignau, a été pendant neuf ans secrétaire de l'ambassade de France à Istamboul. Il avait publié l'année précédente "L'Etat présent de la puissance ottomane, avec les causes de son accroissement et celles de sa décadence". Brunet II, 931 : "Livre singulier." La dorure du dos est en partie éffacée. Note sur un feuillet de garde : "Vendu le 9 Juillet 1809 à la vente des livres de M. C. M. faite par Tillard à Paris 3 # 19 s. Voyez le n° 744 de son catalogue imprimé."*-------*. In-12. Collation : (8), 340 pp. Veau brun, dos à nerfs orné. (Reliure de l'époque.). Leipzig: C.F. Peters [PNs 1688; 1688 II], 1824. First Edition of the first version. Grove Music Online. OCLC no. 163227488. Hirsch IV no. 1283. Göthel p. 336. 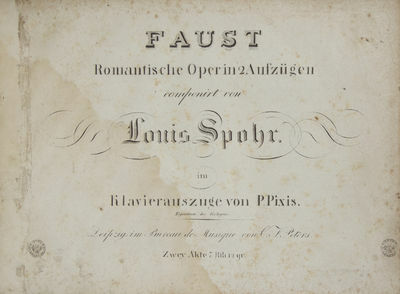 Faust, to a libretto by Joseph Carl Bernard, was first performed in Prague at the Estates Theatre on September 1, 1816. "... Faust marks an important landmark in the development of German Romantic opera. Spohr's concern to create scene complexes, rather than merely a string of individual numbers, points the way towards the continuity of his later operas. His striking use of chromatic harmony was recognized by Weber, who wrote in his introduction to the Prague première: 'this dark, Romantic spirit-world is ideally matched with the composer's inmost musical character. Owing to this fact the work as a whole is marked by great aptness of colour - grand musical and dramatic effects of charm and tenderness alternating with shatteringly powerful effects in the ensembles and choruses'." "Regarded by many contemporaries as worthy of a place beside Haydn, Mozart and Beethoven in the pantheon of the greatest composers, [Spohr] has, together with Gluck and Cherubini, been allotted a considerably lower status by posterity. Mozart's Figaro and Wagner's Tristan were both composed during Spohr's lifetime; his own work looks, Janus-like, towards both the formalism and clarity of the Classical tradition, and the structural and harmonic experimentation associated with 19th-century Romanticism." Clive Brown in Grove Music Online.. Oblong folio. 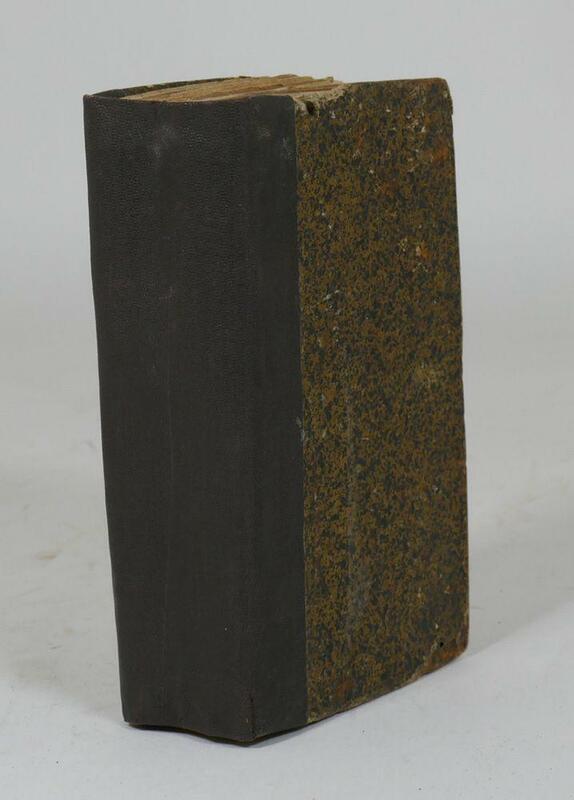 Full contemporary dark green pebbled cloth with nitials "A. v B." in gilt to upper, titling gilt to spine. 1f. (title), [i] (table of contents), 2-99, [i] (blank), 3-110 pp. Each act separately paginated. Engraved. Text in German and Italian. Two publisher's handstamps to lower portion of title. Binding slightly worn. Minor dampstaining, most noticeable to first six leaves; some foxing. 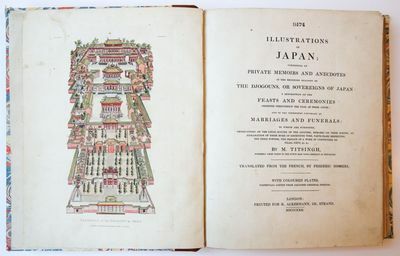 Illustrations of Japan, consisting of private memoirs and anecdotes of the reigning dynasty of the Djogouns, or sovereigns of Japan, a description of the feasts and ceremonies observed throughout the year at their court; and of the ceremonies customary at marriages and funerals: to which are subjoined, observations on the legal suicide of the Japanese, remarks on their poetry, an explanation of their mode of reckoning time, particulars respecting the dosia powder (...). London, R. Ackerman 1822. 40, half leather, 16 + 325 pp. Illustrated with 25 handcoloured lithographed plates. Some plates fortified. Slight browning and foxing on some of the pages. Titsingh was the formerly chief agent to the Dutch East India company at Nangasaki. Translated from the French, by Frederic Schoberl. With coloured plates ""faithfully copied from Japanese Original Designs. Title of the plates: Residence of the Djogoun at Yedo, Earthquake & Eruption of the Mountain of Asama-yama, in the Province of Sinano, Earthquake, Volcanic Eruption & Indunation in the Province of Simahara, Plan of the Dutch Factory in the Island of Desima at Nangasaki, House of the chief of the Dutch Company, the Chinese Factory in the street of Teng-chan at Nangasaki, Founded in 1688, Several lithographes with house scenes, large folded one of the Funeral Procession of the Governor of Nangasaki and below the Funeral Procession of a superior civil officer (printed on linnen). With stamp at first page of the Free public library and museum Blackburn. B0443. Geliebte Eltern! - [Handgeschriebener hamburger Weihnachtswunsch auf altkolorierter Kupferstich-Vorlage von 1742]. Aufwendig gestaltete Schmuckblatt aus der Werkstatt von Gottfried Christian Pingeling (1688-1769) mit handschriftlichem Text von Hans Gottfried Knack an seine Eltern. Die reich kalligraphierten Zierschrift des Widmungskopfes stammt von einem unbekannten Schreibmeister, der Text von Knack. - Der Weihnachtswunsch entstammt einer seit dem 18. Jahrhundert in Norddeutschland gebräuchlichen Tradition. Der Brief wurde den Beschenkten am Weihnachtsabend übergeben, dazu wurde der auswendig gelernte Text vorgetragen. - Das Blatt trägt einen Rahmen von insgesamt neun Kupfervignetten mit biblischen Szenen aus dem Lukasevangelium (Illustrationen zum Besuch Marias bei Elisabeth Geburt und Beschneidung Jesus Christus) und symbolischen Darstellungen (Allegorien der vier Kontinente als geschmückte Frauengestalten). Oben mittig platziert ist die Titelvignette aus Blumenranken (mit der handschriftlichen Ortsangabe Hamburg und der Jahreszahl 1742), flankiert von zwei Engeln. Rückseitig die Adressierung an Hans Gottfried Knack (Senior). - Das Blatt ist etwas krude in Rot, Gelb und Grün koloriert. Das Atelier Pingeling gilt als bedeutendste Werkstatt der frühen, oft künstlerisch aufwendigen Bögen. Zu den Hamburger Weihnachtswünschen aus dieser Werkstatt, siehe Hinrichsen 2010 (Weihnachtsbriefe und Wunschzettel), 17ff. - Bei Hinrichsen ist nur ein einziges älteres Blatt dokumentiert - ein nicht koloriertes Blatt von 1739 (Seite 55). --- Das Blatt ist stark angerändert. Fehlstellen mit Bildverlust an den oberen Blattecken. Einige kleine Löcher und größere Risse. Die Rückseite ist stark und unschön fleckig. Trotz der Mängel sehr schönes Exemplar, dessen mechanische Schäden den interimischen Charakter der Weihnachtswünsche noch unterstreichen.